There are beautiful places one can visit without having to spend much money here in Nigeria. Sometimes it is important to take out time from work, business and relax somewhere. Elbert Hubbard said "The man who doesn't relax and hoot a few hoots voluntarily,now and then,is in great danger of hooting hoots and standing on his head for edification of the pathologist and trained nurse,a little later on". Douglas Pagels also said "Sometimes it's important to work for that pot of gold. But other times it's essential to take time off and to make sure that your most important decision in the day simply consists of choosing which color to slide on the rainbow. 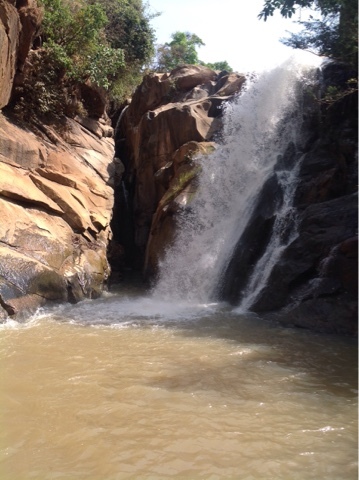 Assop fall located some 62 kilometers along Jos-Akwanga road,Plateau state. It is located in a picturesque environment, serene and peaceful. It is a great place to relax and enjoy nature's beautiful gift. I ambled along the Rocky Mountain path,an unusual humming sound vibrated in the air. It sounded like a swarm of bees,then the buzzing transferred to the rock beneath my feet. It travelled through my body and I felt a tingle that ran to my finger tips, I kept climbing the rocks until I rounded the corner and the source of the sound revealed itself. There was the water fall,drizzling unto the rocks, the larger waterfall was pounding the rocks. It tumbled down the mountain. It had a beautiful serenity pool at the bottom. Spent a couple of hours looking around it and taking pictures before we left. They do have some structure there, but nothing is really happening. How can the government watch this place waste away just like that? I expected to see restaurants too, but there was none. I wanted to use the bathroom, oh my God! I ran out faster than I went in. not only is the restroom dilapidated, but was completely messed up. I wish the government of Plateau State would invest in it, I bet you,it is a beautiful tourist attraction. It will create jobs for the young people, as it is a good place to have a picnic while listening to the sound of the waterfall tumbling down the rocks, and will also be a source of income to the state. It is an ideal place for hiking,swimming and relaxing. Nicely written and vividly described. 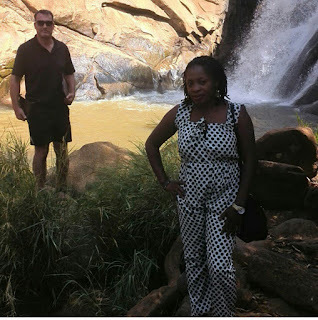 Nigeria has some wonderful places to visit. Tourism is a great industry - good way to bring money into the country as well as to provide jobs for those living in Nigeria. Thank you for this wonderful description of such a beautiful, serene place. Well done! !